Around here, we share a unified vision. It’s not just another day at the office, but a life’s passion to help companies reach approval success. We take ownership in project outcomes and use an all-in approach to best deliver results. 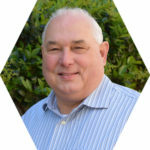 Chuck has over 40 years experience in the design and analysis of bioequivalence studies including those using pharmacodynamic and clinical endpoints. He holds a B.S. in Biology and an M.S. in Chemistry and was a PhD candidate in Biometrics at the Graduate School of Public Health at the University of Pittsburgh completing 54 credit hours of study. After spending over 23 years at Novum Pharmaceutical Research Services and 8 years at aaiPharma he founded Biostudy Solutions, LLC in February 2005. He served as a member of FDA’s expert panel for bioequivalence of topical corticosteroids and was a member of FDA’s Blue Ribbon panel for population and individual bioequivalence. He is co-author, with Sanford Bolton, of the 4th and 5th editions of the text ‘Pharmaceutical Statistics.’ He is the author or co-author of a number of chapters in various textbooks, on a number of scientific papers and regularly presents at scientific meetings. 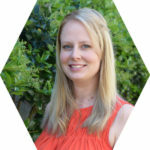 Alison is a senior biostatistician providing pharmacokinetic and statistical evaluations and consulting services to Biostudy Solutions’ clients. Alison is deeply involved with sample size estimation for Clinical Equivalence trials. She holds a B.S. in Statistics from The University of North Carolina-Wilmington. After finishing her internship in May, 2012, Alison decided to stay with Biostudy Solutions full-time. 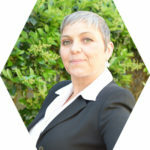 Tracy is the senior report publisher and clinical document coordinator, providing nearly a decade of specialized knowledge of eCTD guidelines, ICH E6 and regulatory affairs. Skilled in compiling integrated reports for M5 ANDA and Phase 1 reports, she joined Biostudy Solutions in February 2012 after working as a report specialist at aaiPharma for 3 years. Tracy oversees daily office operations, as well. Jeff is a biostatistician providing pharmacokinetic and statistical evaluations services to Biostudy Solutions’ clients. In addition, he also assists with quality control, data entry and the creation of pilot and pivotal designs with PK endpoints. 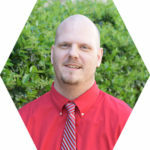 Jeff joined Biostudy Solutions in 2014 after serving in the United States Marine Corps where he was deployed twice and is a Purple Heart recipient. He holds a B.S in Statistics and a B.A in Mathematics from the University of North Carolina-Wilmington. Paisley started working at Biostudy Solutions in the summer of 2015, initially as a publishing assistant. Since then, her responsibilities have expanded as she’s grown with the company. Paisley works with the publishing team to compile integrated reports for M5 ANDA and Phase 1; with statistics team to quality-check data; with management to organize timelines, create invoices, and process collections; and has recently taken on writing CSRs, as well as independent projects. She graduated in 2013 with a B.A. in Art History from Meredith College, and spent the following year teaching English in China. 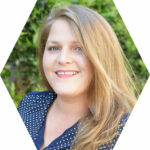 Charity is a Biostatistician that assists with providing pharmacokinetic and statistical evaluations and consulting services to Biostudy Solutions’ clients. She holds a B.S. with distinction in Mathematics and Statistics from The University of North Carolina-Wilmington. 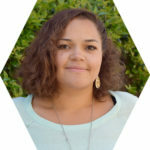 After completing her internship with PharPoint Research, Charity joined the team in 2015.